Reassuringly solid stance, dynamic design with colour coded body and wringer. 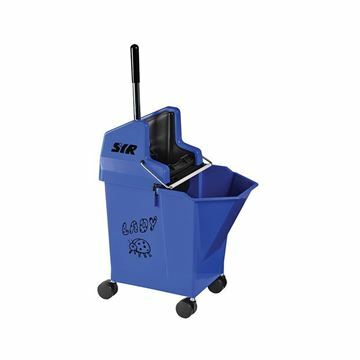 Accepts Kentucky mops from 340gms to 510gms. 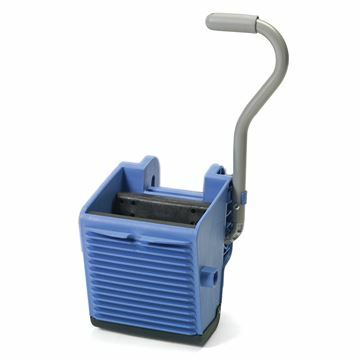 All plastic wringer with lipped edge for added strength and strong carry handle. Galvanized for long life. 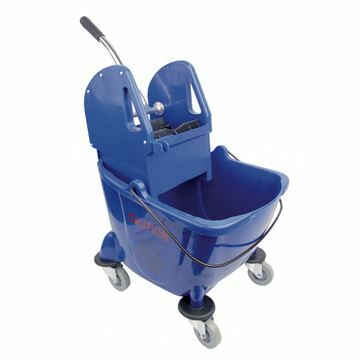 Heavy duty industrial mop bucket. Manufactured to a high standard. High profile wringer means overspill goes back into bucket not onto the floor. Heavy duty plastic handle. Graduation marks. Colour coded. 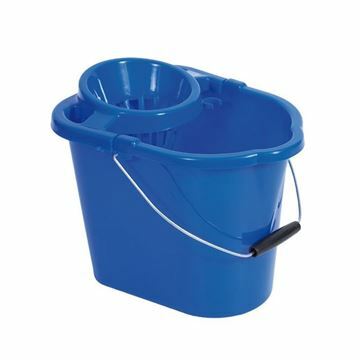 Extra tough mop bucket with easy clip on/off sieve, colour-coded polypropylene, durable carry handle. The unit is lightweight and easy to manoeuvre, featuring four 360 degree swivel non-marking castors. 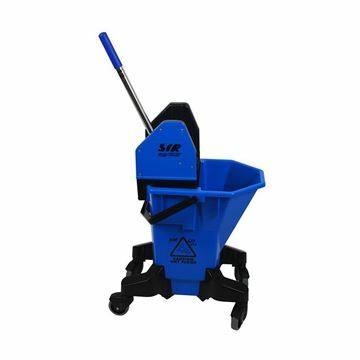 ScrubClean has tool holders/clips on the sides of the bucket allowing you to keep the mops and bucket together to help resolve cleaning issues fast and to make storage easier. 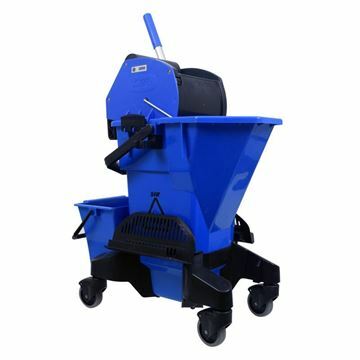 The wringer easily clips on and off and the bucket has a pick up and go handle, chemical portion pod to prevent overdosing and clean water mopping with deep sump under heavy duty grid. The vase shape of the ScrubClean reduces water volume used. Water diverter, diverts to rear. 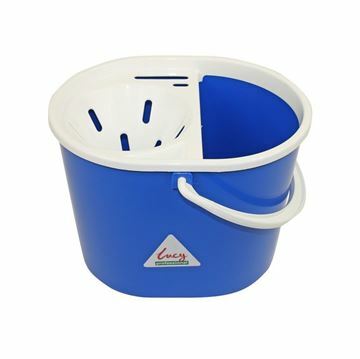 This colour coded bucket features an easy to use wringer for use with Kentucky mops for medium to larger floor areas. 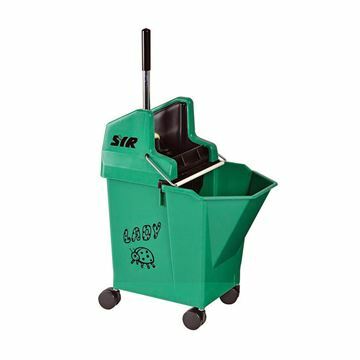 The curved bucket enables easy mopping and has eye catching caution sign printed on both outer sides.